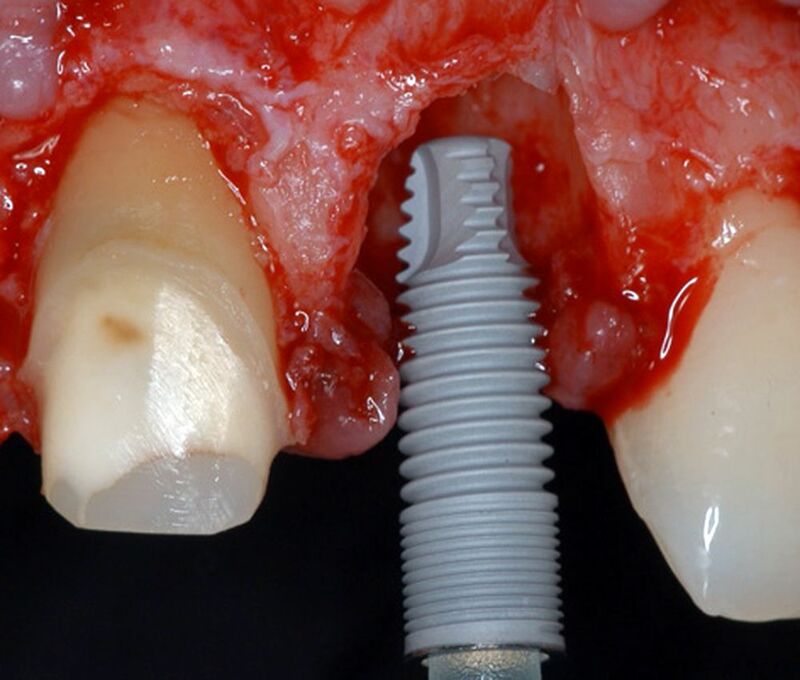 IMPLANTOLOGY : What are my options for replacing all teeth with dental implants? Should you need all of your teeth replaced by some prosthesis, those false teeth would be on a normal denture which you take in and out. Its disadvantage is that in the bottom jaw the bone tends to shrink quite quickly, so that a lot of people have trouble eating with the bottom denture - it's clacking around, they fall out when they're laughing, they can't eat apples. If you have those problems or should you wish something alternative, two implants in the bottom jaw is a highly predictable procedure for retaining a denture. So if your concern is that your teeth are moving around everywhere and are loose, then two implants can allow quite a firm grip of the implant, so you won't need any denture glue.